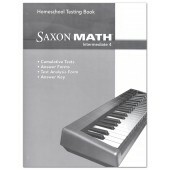 Saxon Math Intermediate 5 Homeschool Kit. 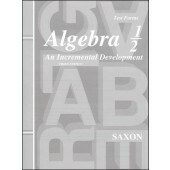 A textbook option to prepare you for middle grades math. This book is a comprehensive 5th grade math curriculum that uses a textbook format. The program offers daily cumulative, mixed practice, and frequent assessment to continuously monitor student progress. Purposeful activities are embeded within lessons to help students make the transition from the concrete to the abstract. Kit includes: Student Textbook *120 Lessons. 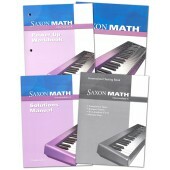 Solutions Manual *Full step-by-step solutions to all Lesson Practice, Written Practice and Investigation questions. Note: This kit refers to "Activity Pages;" email our customer service at abrighterchildorders@gmail.com to receive these! 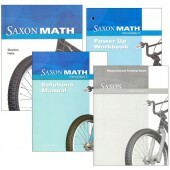 Saxon Math Intermediate 4 Homeschool Kit. 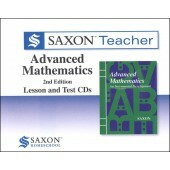 A textbook option to prepare you for middle grades math. This book is a comprehensive 4th grade math curriculum that uses a textbook format. The program offers daily cumulative, mixed practice, and frequent assessment to continuously monitor student progress. Purposeful activities are embeded within lessons to help students make the transition from the concrete to the abstract. 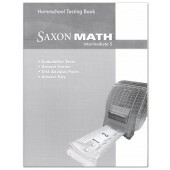 Saxon Math Intermediate 3 Homeschool Kit. 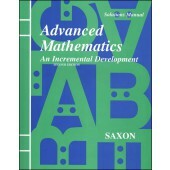 A textbook option to prepare you for middle grades math. This book is a comprehensive 3rd grade math curriculum that uses a textbook format. The program offers daily cumulative, mixed practice, and frequent assessment to continuously monitor student progress. Purposeful activities are embeded within lessons to help students make the transition from the concrete to the abstract. 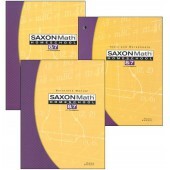 Kit includes: Student Textbook *110 Lessons. 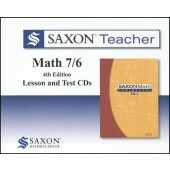 Saxon Grammar & Writing Grade 8 Homeschool Kit, 2nd Edition. Revised and updated to meet the Common Core State Standards for Language and Writing, Grammar and Writing 2nd Editions still provide the same model of incremental development and continual review as the 1st editons but now include additional writing lessons. Produced by Stephen Hake, co-author of the Saxon middle grades math books, and authored by Christie Curtis and Mary Hake, Grammar and Writing is a comprehensive languae arts program based on the Saxon model of incremental development and continual review. Grammar and Writing covers English grammar, writing, spelling, punctuation, and vocabulary development. Embedded in the examples and exercies is content from other subject areas, so that students learn valuable knowledge while developing their English skills. 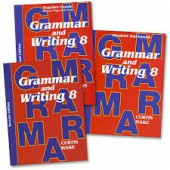 Each Grammar and Writing kit includes three books: the Student Textbook, the Student Workbook, and the Teacher Packet. 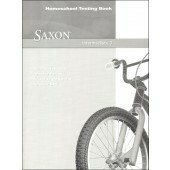 Saxon Grammar & Writing Grade 7 Homeschool Kit, 2nd Edition. Revised and updated to meet the Common Core State Standards for Language and Writing, Grammar and Writing 2nd Editions still provide the same model of incremental development and continual review as the 1st editons but now include additional writing lessons. Produced by Stephen Hake, co-author of the Saxon middle grades math books, and authored by Christie Curtis and Mary Hake, Grammar and Writing is a comprehensive languae arts program based on the Saxon model of incremental development and continual review. Grammar and Writing covers English grammar, writing, spelling, punctuation, and vocabulary development. Embedded in the examples and exercies is content from other subject areas, so that students learn valuable knowledge while developing their English skills. 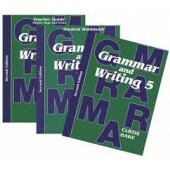 Each Grammar and Writing kit includes three books: the Student Textbook, the Student Workbook, and the Teacher Packet. Saxon Grammar & Writing Grade 6 Homeschool Kit, 2nd Edition. Revised and updated to meet the Common Core State Standards for Language and Writing, Grammar and Writing 2nd Editions still provide the same model of incremental development and continual review as the 1st editons but now include additional writing lessons. Produced by Stephen Hake, co-author of the Saxon middle grades math books, and authored by Christie Curtis and Mary Hake, Grammar and Writing is a comprehensive languae arts program based on the Saxon model of incremental development and continual review. Grammar and Writing covers English grammar, writing, spelling, punctuation, and vocabulary development. Embedded in the examples and exercies is content from other subject areas, so that students learn valuable knowledge while developing their English skills. Each Grammar and Writing kit includes three books: the Student Textbook, the Student Workbook, and the Teacher Packet. Saxon Grammar & Writing Grade 5 Homeschool Kit, 2nd Edition. Revised and updated to meet the Common Core State Standards for Language and Writing, Grammar and Writing 2nd Editions still provide the same model of incremental development and continual review as the 1st editons but now include additional writing lessons. 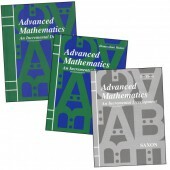 Produced by Stephen Hake, co-author of the Saxon middle grades math books, and authored by Christie Curtis and Mary Hake, Grammar and Writing is a comprehensive languae arts program based on the Saxon model of incremental development and continual review. Grammar and Writing covers English grammar, writing, spelling, punctuation, and vocabulary development. Embedded in the examples and exercies is content from other subject areas, so that students learn valuable knowledge while developing their English skills. 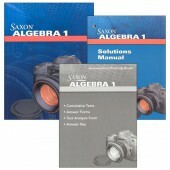 Each Grammar and Writing kit includes three books: the Student Textbook, the Student Workbook, and the Teacher Packet. Saxon Grammar & Writing Grade 4 Homeschool Kit, 1st Edition. Meets the Common Core State Standards for Language and Writing. Produced by Stephen Hake, co-author of the Saxon middle grades math books, and authored by Christie Curtis and Mary Hake, Grammar and Writing is a comprehensive languae arts program based on the Saxon model of incremental development and continual review. Grammar and Writing covers English grammar, writing, spelling, punctuation, and vocabulary development. Embedded in the examples and exercies is content from other subject areas, so that students learn valuable knowledge while developing their English skills. 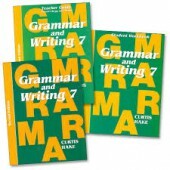 Each Grammar and Writing kit includes three books: the Student Textbook, the Student Workbook, and the Teacher Packet. 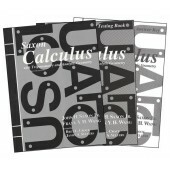 Student Textbook 120 Lessons, 12 Investigations, 11 Labs Skills-Bank Properties and Formulas, Glossary and Index. 953 pages. Hardbound. Saxon Teacher Math 5/4. 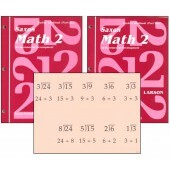 For use with Saxon Math 5/4 curriculum (item #2856) Saxon Teacher is the first ever official multimedia supplement to the Saxon Homeschool program. The only official, comprehensive supplement to Saxon's homeschool math program, Saxon Teacher includes: Comprehensive lesson instruction Complete step-by-step solutions to every problem A user-friendly CD format with simple navigation Windows and Mac compatible. 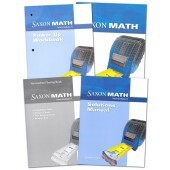 In addition to superior math instruction, Saxon Teacher offers a convenient format and user-friendly navigation. Students can follow the video tutorials and audio instruction on their computer, and they can easily move forward or back within a lesson or problem, pause and resume the video, skip to the next problem, or change lessons. Students can follow along with their textbook while watching the teacher explain the lesson and work the example problems. Complex problems are broken into manageable pieces by our teacher, who guides students with thorough explanations and helpful hints, all of which is based on the proven Saxon method of math instruction.